Once you have your product in hand and a website designed, you still are not ready to accept web based transactions. To accomplish this you will need to be able to process credit card transactions. There are a number of ways to set up credit card processing with the most common being an account from a merchant services provider. Standrad credit card accounts are commonly known as merchant accounts. Merchant accounts allow merchants to accept standard Visa, Mastercard, Discover and Amex as payment. 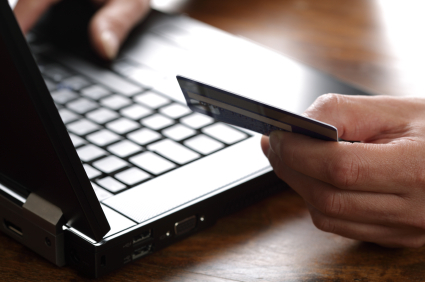 Web merchants must process these transactions through a payment gateway. Through this type of configuration, all of your daily transactions are captured in a batch at the end of the day and deposited directly into your checking account. Traditional merchant accounts have traditionally been the most cost effective way to process transactions. Growth of payment gateways like PayPal and Google Wallet has been steady. Also mobile processing readers have become immensely popular with services like Square and Quickbooks Payments that now have POP and web processing options. A significant number of online buyers are opting to use alternate payment methods like these for convenience and safety. Since the choice of payment method is a personal preference of the consumer, it makes simple sense to offer as many payment method as possible. For more information about how JFC can help setup and implement any of these payment options for your company, please visit our contact us page to submit an inquiry.